Malaria: You will need to take prescription medicine before, during, and after your trip to prevent malaria. Your doctor can help you decide which medicine is right for you, and also talk to you about other steps you can take to prevent malaria. 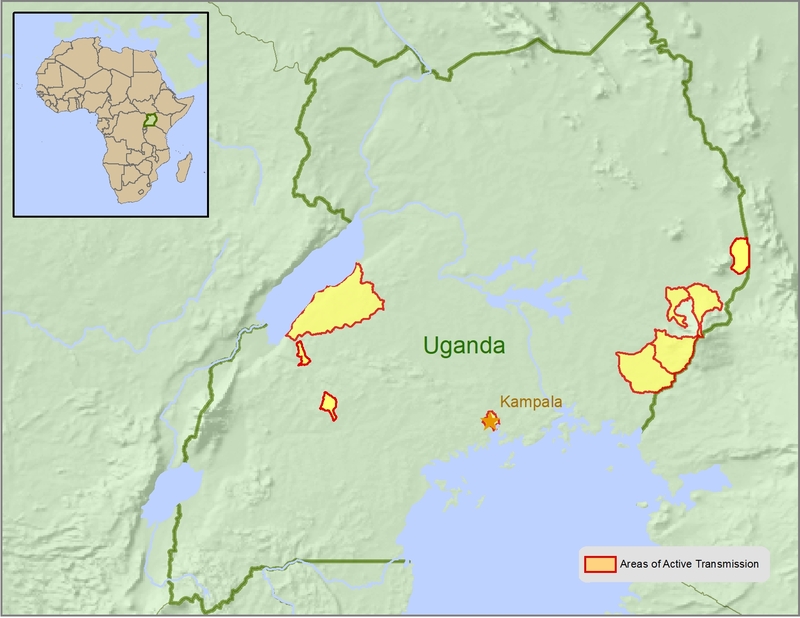 Meningitis (Meningococcal disease): CDC recommends this vaccine if you plan to visit parts of Uganda located in the meningitis belt during the dry season (December–June), when the disease is most common. People who are taking long trips or moving to Uganda. Use the Healthy Travel Packing List for the Uganda for a list of health-related items to consider packing for your trip. Talk to your doctor about which items are most important for you. If you are not feeling well after your trip, you may need to see a doctor. Be sure to tell your doctor about your travel, including where you went and what you did on your trip. Also tell your doctor if you were bitten or scratched by an animal while traveling.